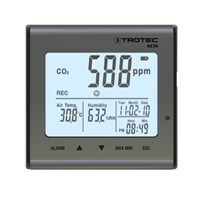 Data logger for climate, dew point and air pressure monitoring (° C,% r.F, hPa). Data logger for climate and dew point monitoring (° C,% RH). 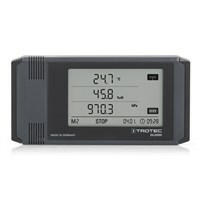 Data logger for climate, dew point and CO2 monitoring (° C,% R.h, ppm CO2). With additional connecting terminals for external eletrodes and sensors. 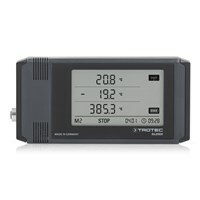 They are ideal for long-term measurements, store data reliably and offers simple data transfer to your PC. For professional configuration and analysis of climate data, the corresponding pro software is included. 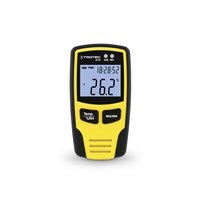 Processing, storage and transport freshness guarantee: our data logger can help you to protect sensitive goods from the cold by regular temperature checks. Precise measurement for each climate - not only for professionals. Ultra-compact and full of features such as USB interface, but unbeatable price. Select from the products your ideal data logger.